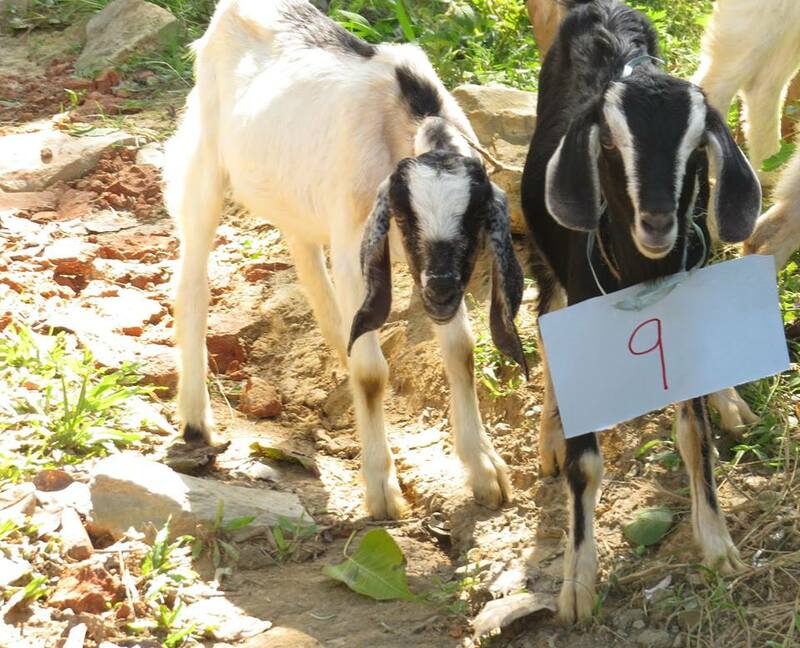 This project aims to build a soap factory in Dhading, a rural village in Nepal, and to train and to empower women in the village to have an environment for income generation which helps the self- sustainability of women and help improve their families livelyhood. Dhading is situated in the North West of Kathmandu (capital on Nepal) and has breath taking scenery of mountains and rivers. It is 80% farmland and 20% forest but the people here hardly have any income. Some parts of the region are not accessible by car nor might they have clean drinking water, electricity or toilets. Literacy rate is low but schools have been set up to help the children get education. Majority of Nepalese house hold (60 - 70%) in Nepal do not own a washing machine or dishwasher for various reasons, financial being the top. The clothes are washed by hand with soap. There is a big market for it. Empower1 (501 c 3 non-profit based in US) and Peace4People (Non-profit based in Nepal) are partnering to help build a soap factory and train local women to make soaps which can be sold in markets to generate income for them and their families. Currently, due to low literacy rate among women in the village, they are limited to house and farm work and dependent on their male figure of the household. Once trained, the women in the village will be able to generate income by selling soaps, be independent and help improve their families livelihood. 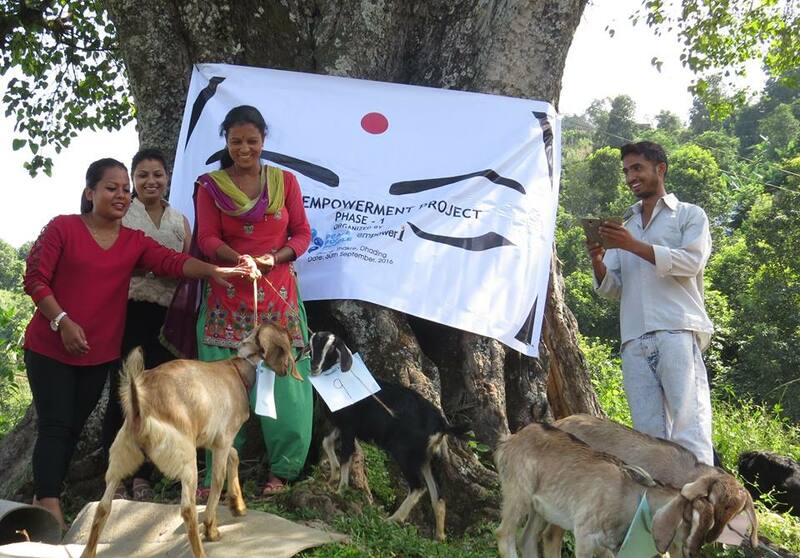 Women Empowerment Project (WEP) - Goat Project. 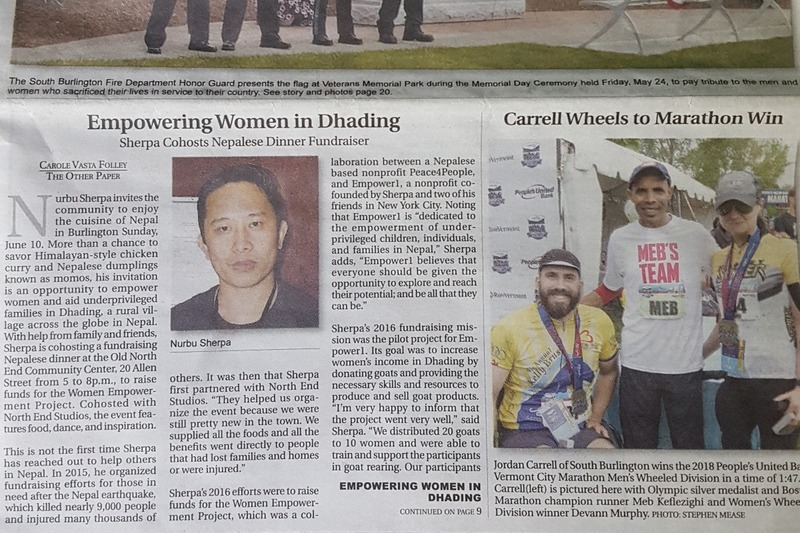 Thank you "The Other Paper" for this wonderful coverage of Women Empowerment Project (WEP) - Soap Project. 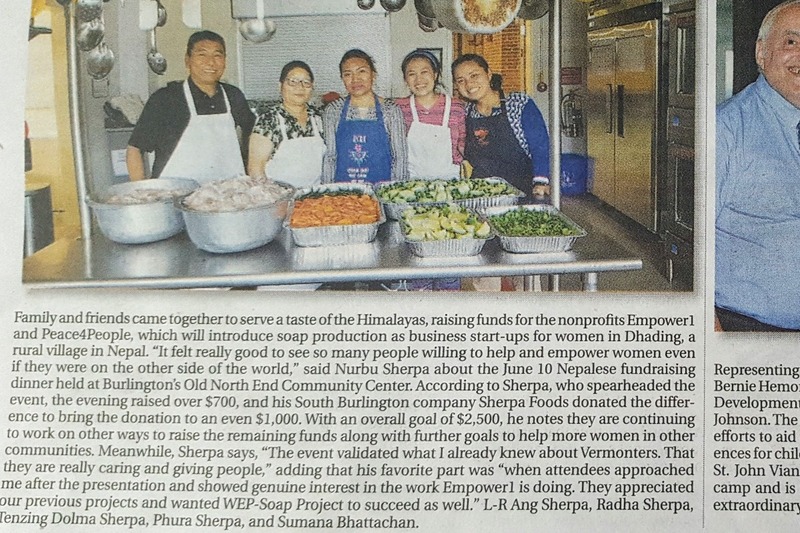 North End Studios & Sherpa Foods ( https://www.facebook.com/Sherpafoods) to host dinner to benefit underprivileged families in Nepal. All proceeds will benefit non-profit organizations Empower1 and Peace for People. Tickets will be $18 in advance or $20 at the door. (Children under 10 are half price.) Attendees can go to northendstudios.org to purchase tickets in advance. The dinner will include an array of traditional Nepalese foods that will accommodate vegetarian and gluten-free diets. Beef and vegetable momos (Nepalese dumplings), Himalayan style chicken curry with rice, lentils with rice, and mango lassi will be the featured dishes served at the event. The chefs are friends and family of Sherpa Foods, with additional help from local Nepalese volunteers. The event will start with a presentation at 5:30 p.m. about the collaborative projects of non-profit organizations Empower1 and Peace for People. 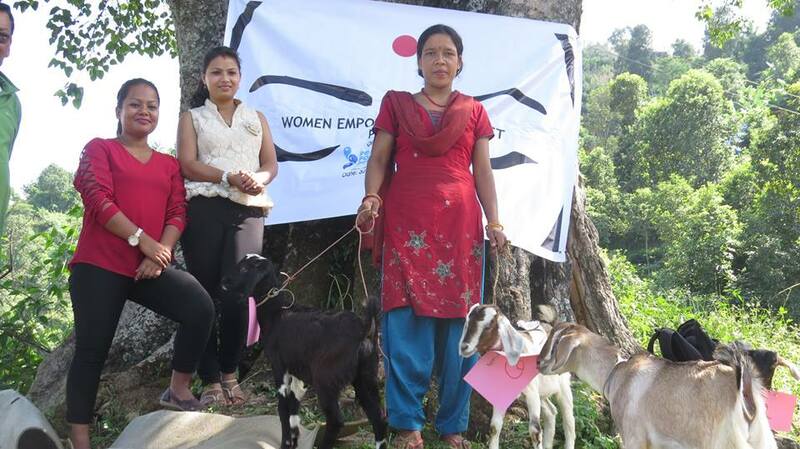 It will concentrate on the 2019 Women Empowerment Project in Nepal, which focuses on bringing education, entrepreneurship, and independence to local women by introducing soap production to a rural Nepalese community. The dinner will commence at 6:00 p.m. and will be followed by a dance performance by the Vermont Nepalese Cultural Heritage Dance Group.